That’s a mouthful! Not just the name, when this meal is done no one goes hungry, not even the broke roommate in my case. 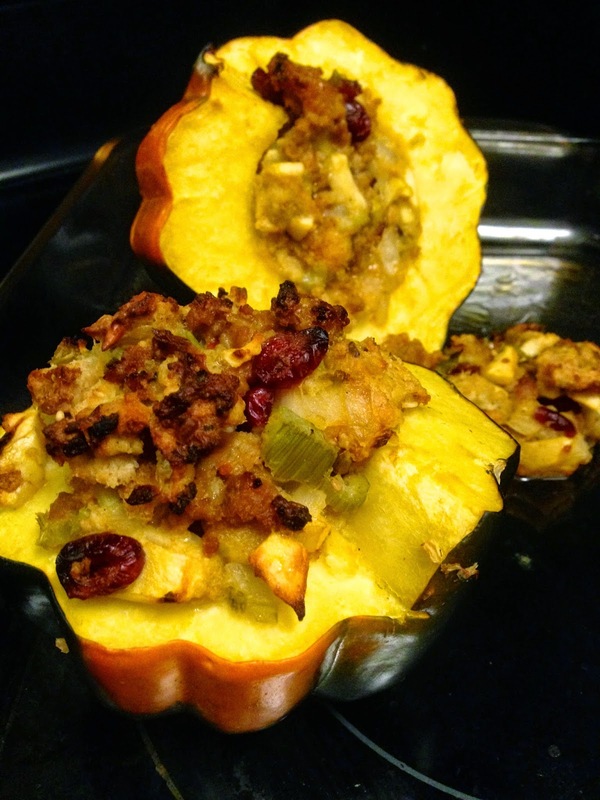 Inspired by wanting to stuff an acorn squash given to me by a friends mom from her garden, and the first cold day of fall, which to me means holidays, and therefore stuffing, I created -deep breath- sausage, cranberry and apple stuffing stuffed squash. Begin by preheating the oven to 400 degrees. 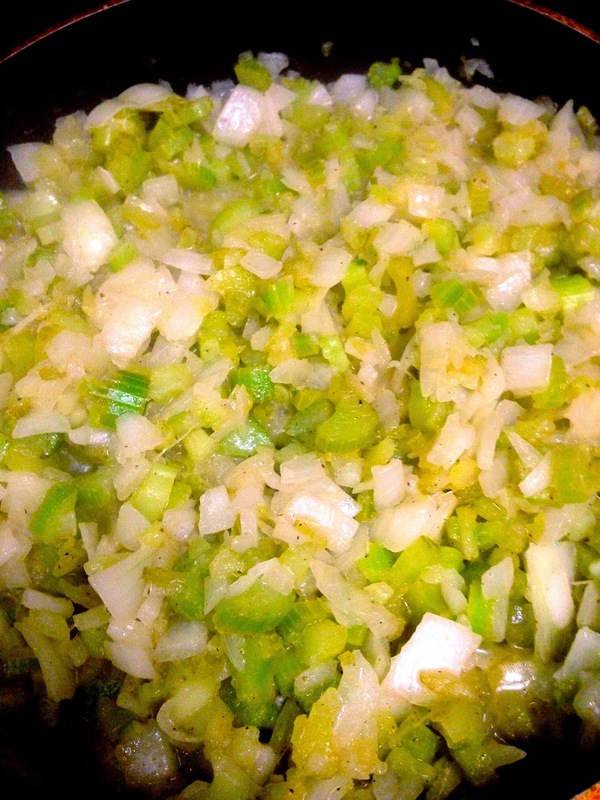 Dice the onion and celery and add to a large skillet with 4 tbsp butter, salt, pepper and mustard powder. 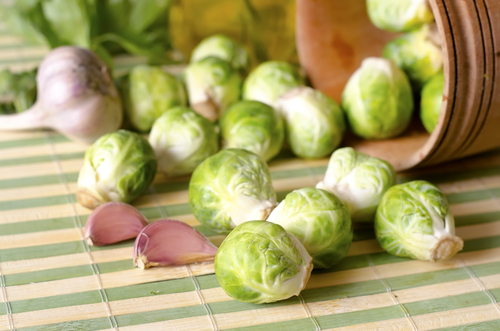 While this is sautéing, begin toasting bread and ripping into quarter sized pieces into a large bowl. When celery and onion are soft, add into bread bowl and use the skillet to then heat the sausage. Continue toasting and ripping until you have finished the loaf and a half. Flip sausage and continue stirring until fully cooked, then add to the bread mixture. Heat cheese soup with 1/2 cup water, stir, and add to the mixture. Dice apples, and add, along with cranberries. Lastly, add eggs and (remove jewelry from hands) begin to mush with your hands, mixing everything completely until you reach a nice consistency. Chop the acorn squash in half, scoop out guts, and drizzle with melted butter or olive oil. 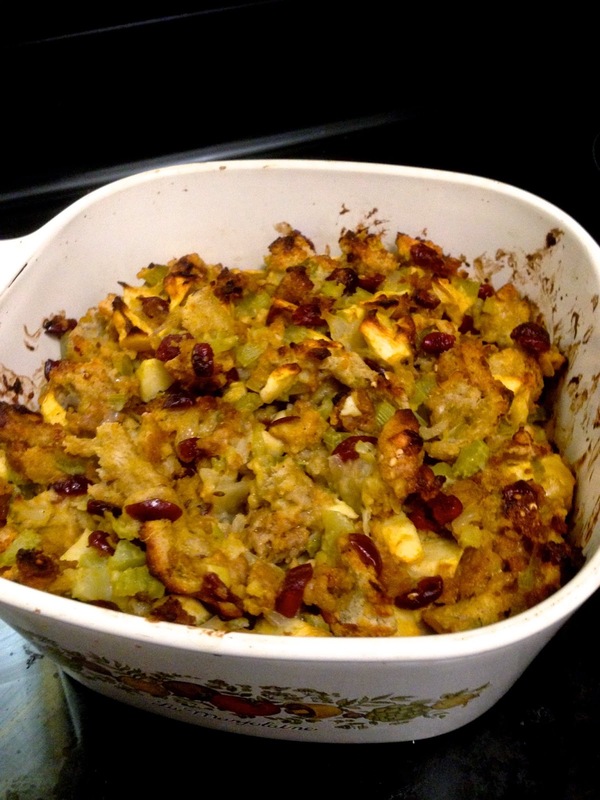 Fill with stuffing until overflowing and place in greased baking dish. Dispense the remaining stuffing into its own greased baking dish. Heat in oven for 1 hour with the solo stuffing covered for the first 30 minutes. To serve, slice squash into halves again. Bowl recommended. Enjoy. My boyfriend recently got a second shift job, therefore I eat dinner alone now 😦 But rather than taking this sadness and alone time to craft amazing and wild dinners, I started exploring with different stir fries, salads, and much more light and healthy options that I usually just don’t do because I am feeding a male. I’ve had a few great meals that were super light but filling and delicious! I thought I had to share for any others out there that want a good and healthy dinner on the lighter fare. I don’t have any pictures of the ones I’ve made so far but I will start taking pictures soon. Fun Fact: Spinach is the only vegetable that is more vitamin rich when cooked! Simply douse a large skiller in butter and saute garlic. Add in onion then broccoli. Cover and stir occasionally until cooked. Add in spinach and cilantro and stir with desired amount of pepper and balsamic. Sprinkle with parmesan cheese and serve! Simply sauté all ingredients together until browned. Add tomato sauce and simmer shortly. serve with parmesan cheese. I just moved to Salt Lake City, UT from Boulder, CO, and before that was my hometown of Petaluma, CA. Growing up in Northern California shaped my love for adventure int he outdoors, and going to college in Boulder only certified it. Now as I take on Salt Lake City, I will become a professional… Camping almost every weekend, hiking at least three times a week (in the warm months), and what I’m looking forward to most… Snowboarding about three times a week! Any who, this blog will tell stories about my adventures, places to go, outdoor cooking, bear safety, snowboarding accomplishments, campfire recipes, moose tracking, camping hacks, outdoor snacks… did I also mention that I like to cook?